First things first, Tarjay is the realest. 1. A super-festive ruffle-hem maxi dress to help make your weekend running errands seem like a tropical vacation. 2. 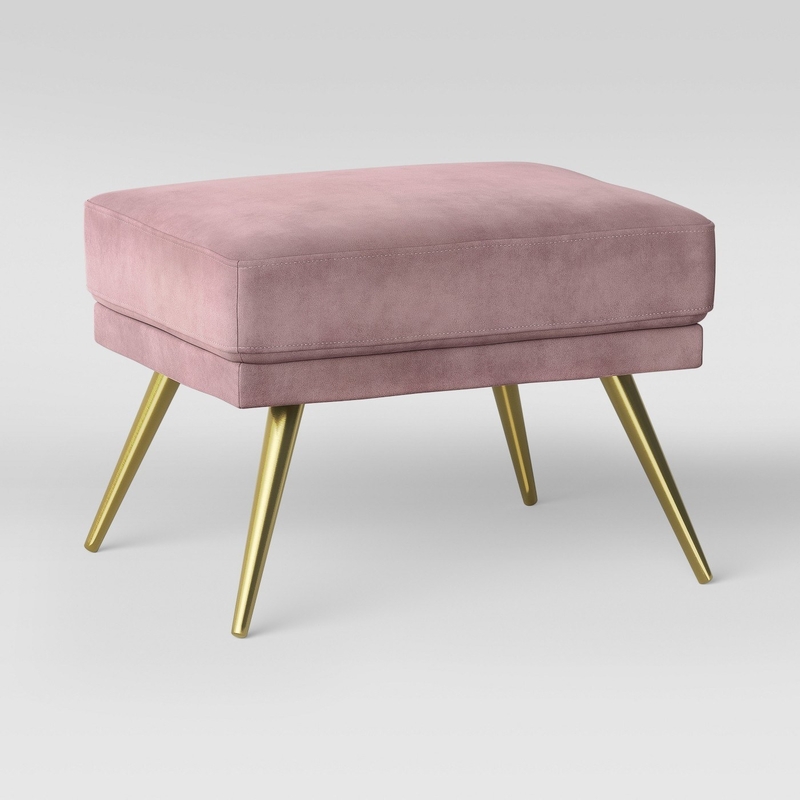 A gorgeous velvet ottoman designed with some very glam angled shiny brass legs and a comfy padded top. 3. 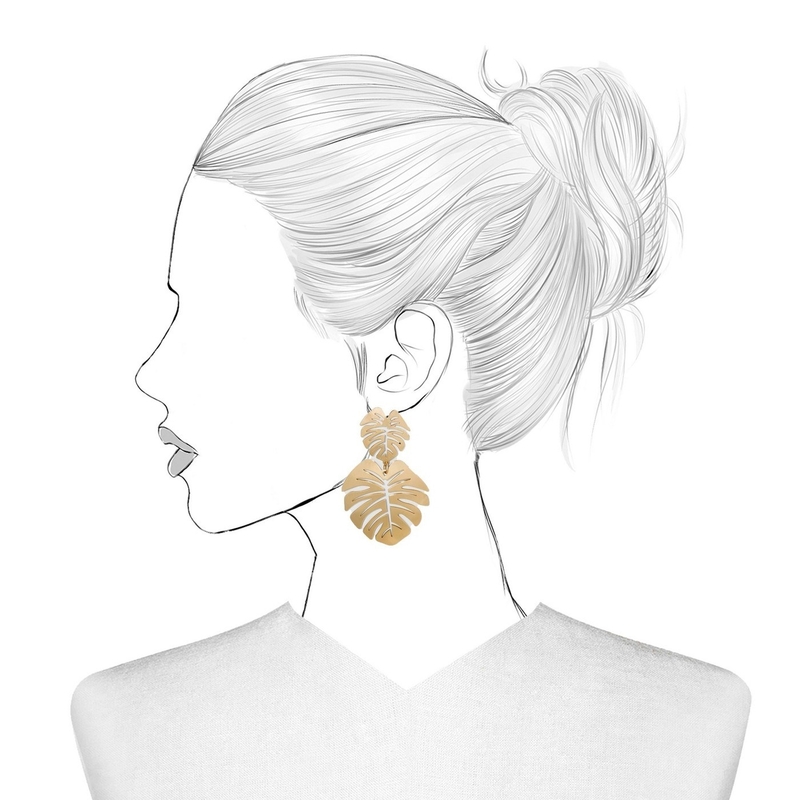 A pair of hoop tassel earrings that look just like their much more expensive counterparts — you could literally get three pairs for the price of one! 4. A cheeky little lace-up one-piece for all those poolside Insta moments this summer. 5. A charming belted cotton summer dress so classic you'll wear it for years and years to come. 6. A pack of some very cool and super-soft dress socks, because what better way to show you mean business than with a pair of socks featuring a walrus wearing sunnies. 7. A pair of simple, classic slides available in a slew of colors so they'll go with whatever you're wearing! 8. A pair of tasseled pink drop earrings you'll never want to let (flamin)go. 9. A simple and chic cotton button-down midi dress that'll have everyone asking where you go it. 10. 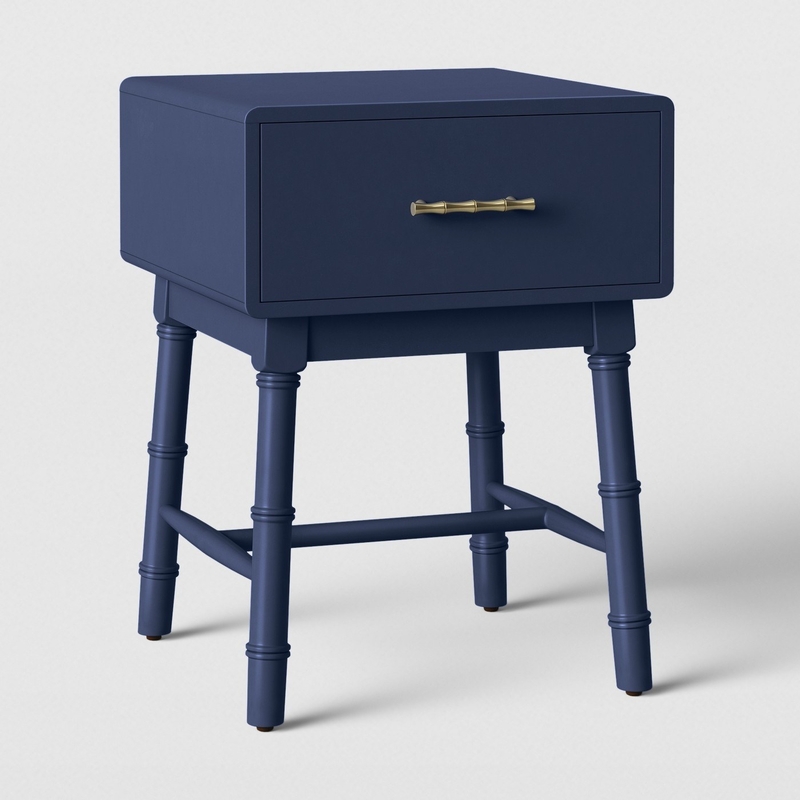 A subtle and unique accent table people will think you hired an interior designer to find for you. 11. 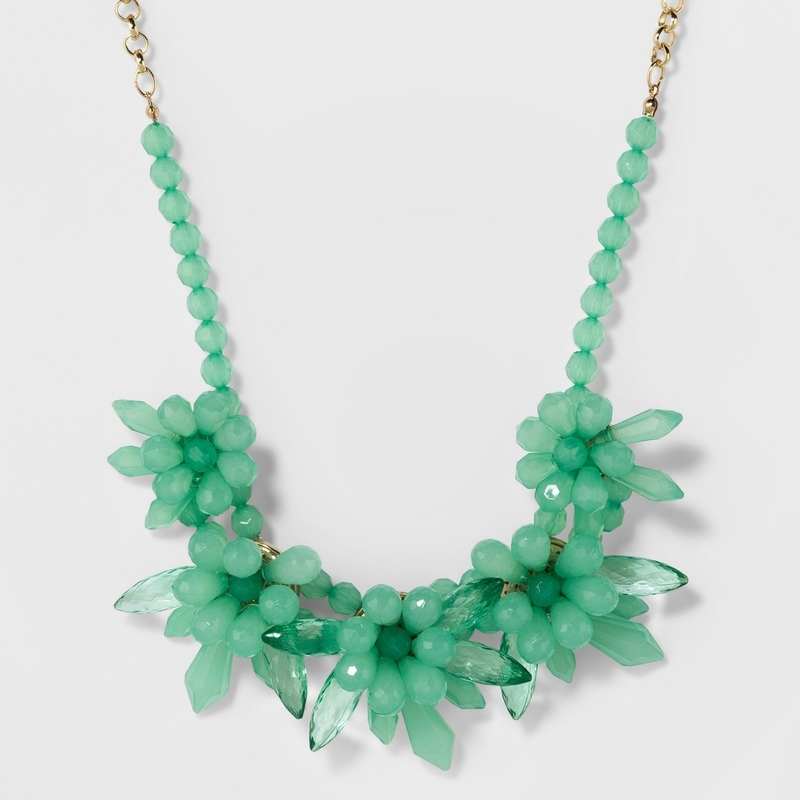 A stunning glass and acrylic statement necklace that'll look perfect tucked over a shirt collar or with your favorite summer dress. 12. A cotton ruffled-sleeve polka-dot dress, because it's just too pretty not to buy. 13. A woven picnic basket with a convenient wooden lid, ideal for all those visits to grandma's house. 14. 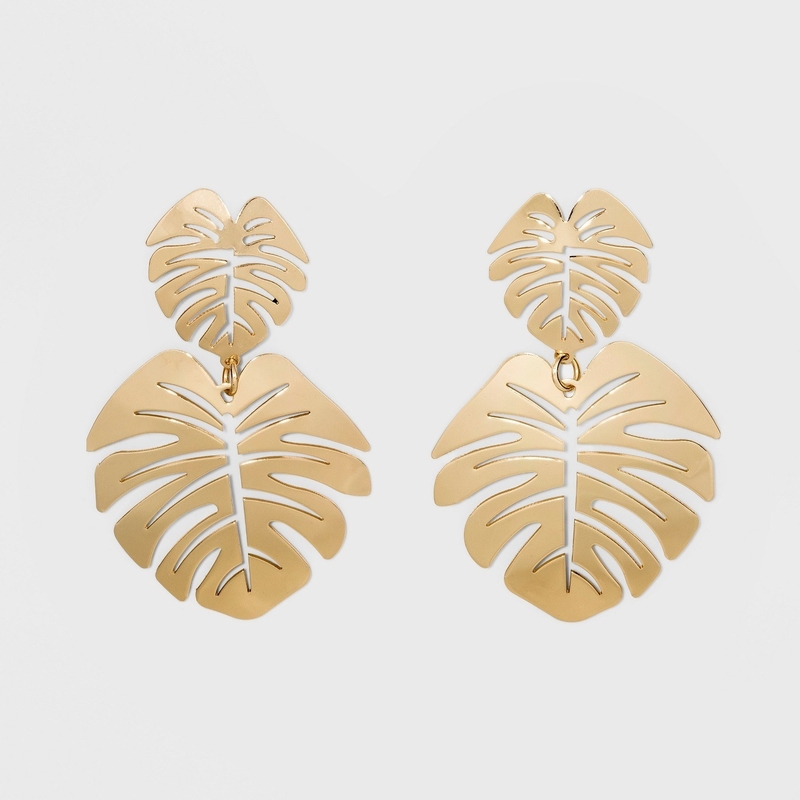 A pair of golden palm-leaf drop earrings that'll finally take your ears on the tropical vacation they deserve. 15. An eclectically colorful tie-waist summer dress to help give you the pop of color your wardrobe so desperately needs. 16. A stunning brass and glass table lamp all your guests will be pineappling for. 17. A woven drawstring bucket bag that's totally perfect for the beach — or everyday life. 18. A cool AF flame-sleeve denim jacket, because why shouldn't you have a lightweight coat that is the IRL version of the fire emoji? 19. A pair of knot detail satin slides for all those date nights when you're just not in the mood to wear heels. 20. A pair of wide-leg cropped pants with discreet slits up the leg for guaranteed flowy-ness whenever you walk. 21. An uber-soft and cozy sweater-knit blanket for help keeping you in the lap of luxury — even when that means 18-hour Netflix marathons. 22. A simple floral-print wrap dress so you have the one absolutely glorious summer dress to throw on when it's just to hot to think about anything else. 23. A pair of beaded drop earrings that look just as good paired with jeans and a T-shirt as they do with a gorgeous summer dress. 24. A simple yet dramatic outdoor mat for greeting your guests in the chicest way possible. 25. 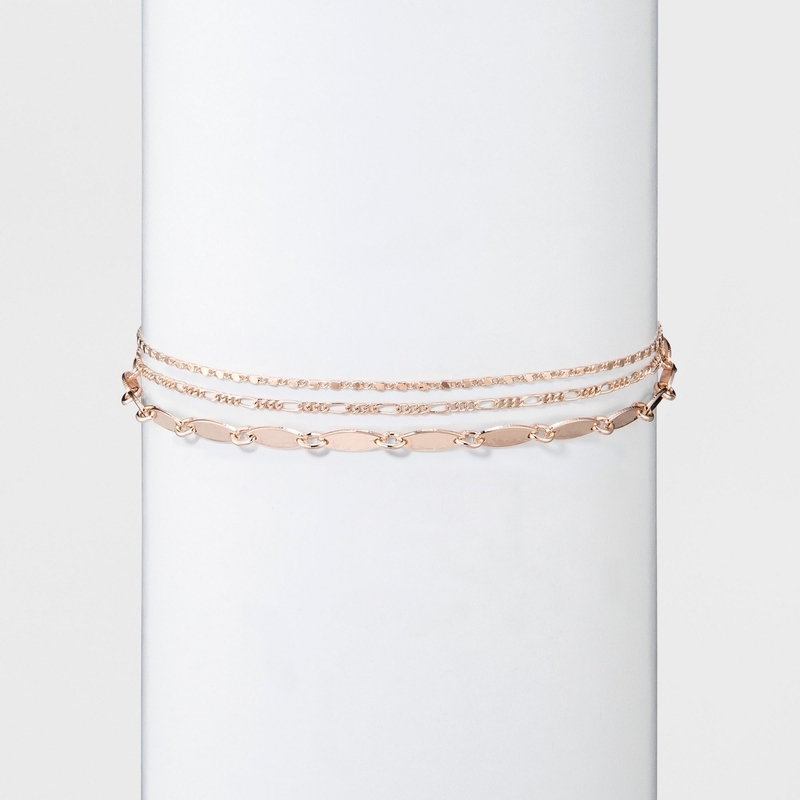 A pretty-as-can-be layered set of rose-gold chokers to add a delicate touch to whatever you're wearing. 26. 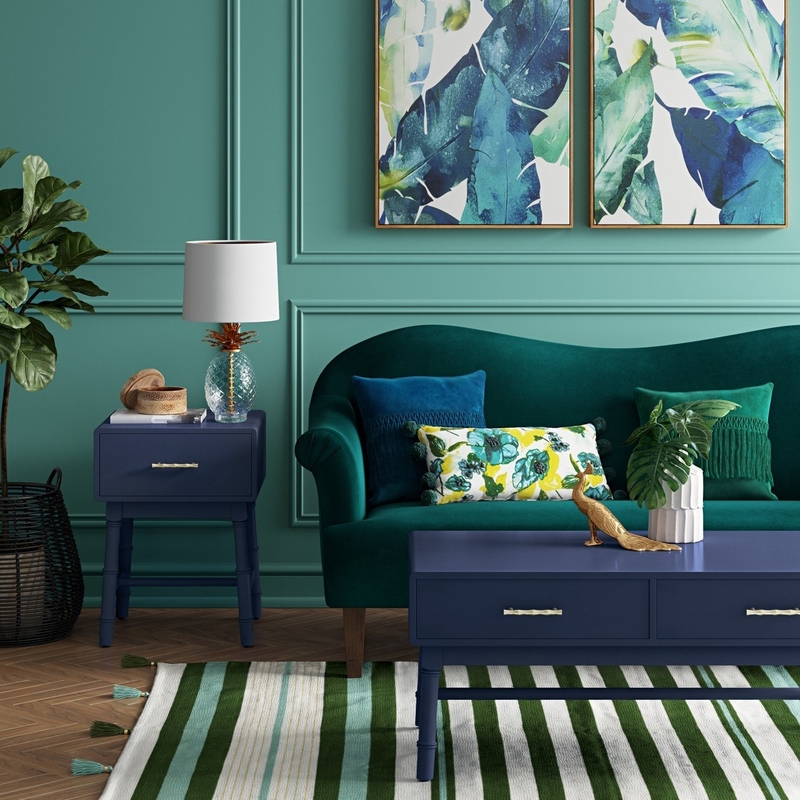 A luxurious swiveling velvet armchair designed with a gorgeous golden base and comfy AF rounded design. 27. A pair of tasseled slides that'll basically just be a really good time for your feet. 28. 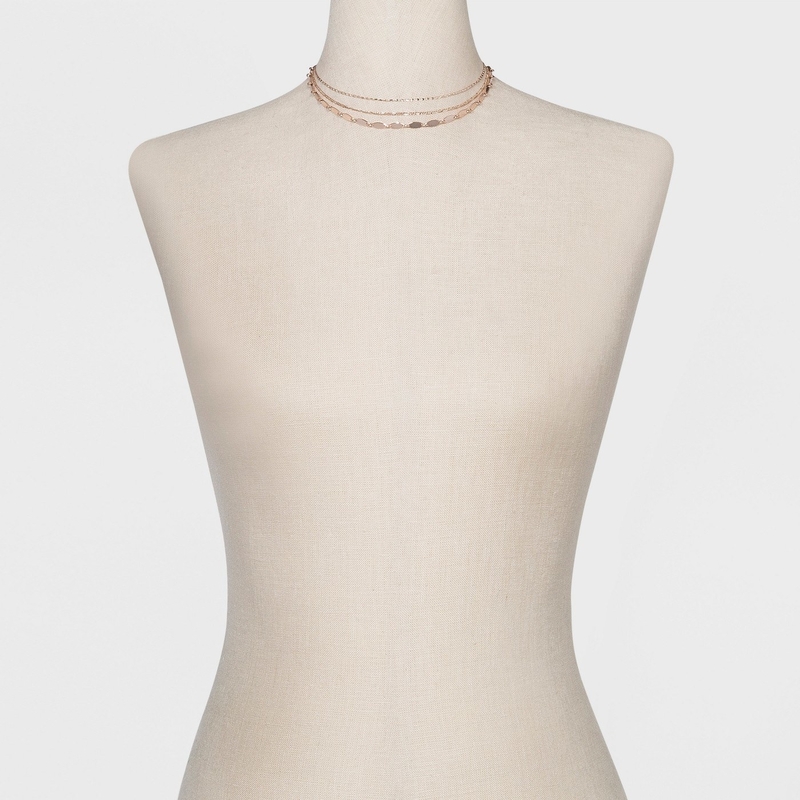 A delicate beaded necklace you can wear hanging long or wrapped around for a layered look. 29. 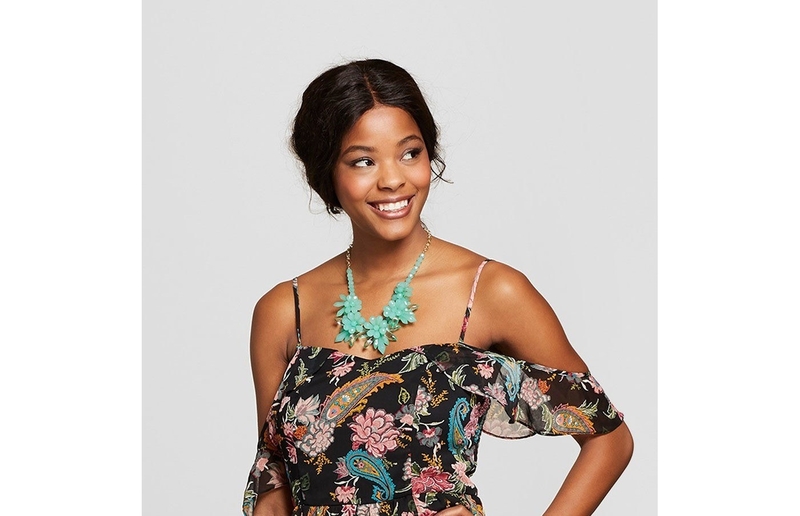 A very cool handkerchief-cut dress, because it's probably the best summer dress ever made: flowy, lightweight, and totally cute. 30. A lush reversible patchwork quilt featuring two beautiful prints to help add some detail to your room no matter what your decor style is. 31. A romantic ruffled-hem midi wrap dress — a truly great option for all those summer weddings on your calendar. 32. 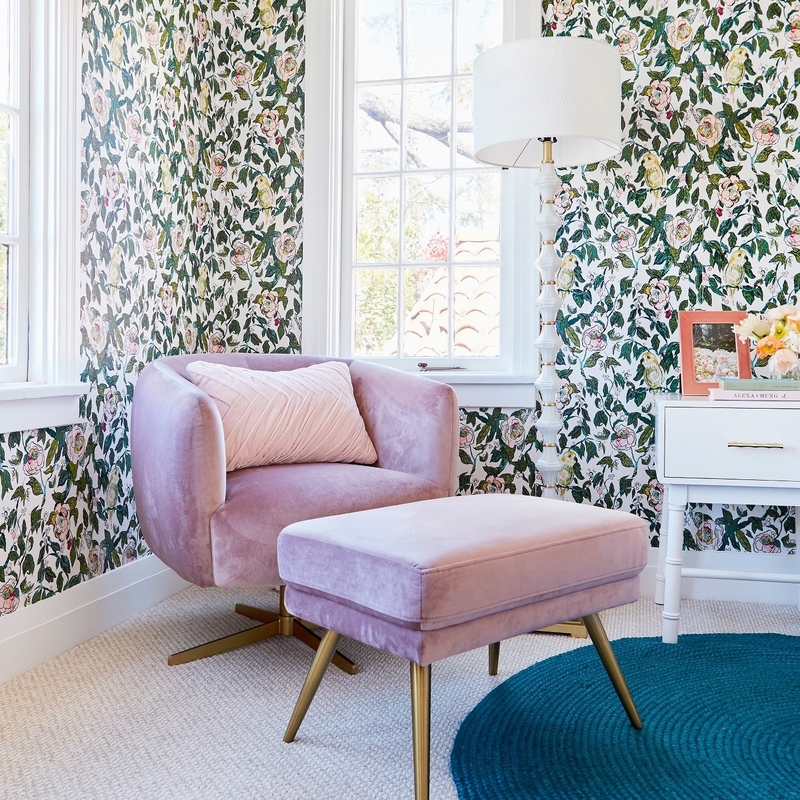 And a set of gorgeous velvet upholstered bar stools to make you feel like you're always drinking from the top shelf — even if that top shelf is at Trader Joe's. When people think you paid $$$$ for all your fancy AF things.